← Can you handle the excitement? Oh culture shock, you’re back. I’ve written about my experiences with culture shock before so I’ll spare you another long, rambling post about my feelings. Basically, my experience this time around has been identical to my first serious bought of culture shock, full of moments in which I HATE EVERYTHING! I have been trying really hard to stay positive. So, in that spirit, here is a list of things I love about my life right now. I like my base school, where I teach four days a week, but at my special needs school I get to play and sing and be goofy and there is no marking! The kids there are always genki (enthusiastic and lively.) They love learning English and are not embarrassed to show it. Also, they love me; I am like a rock star. During one class about prices I made up a little song. The lyrics are as follows “Shopping, shopping,shopping, shopping, shopping….” (Got it?) Anyhow, the elementary students now ask to sing it whenever I come in the room. It’s like I am Barry Manilow. No big explanation required. I just lucked out with an awesome apartment. Hmm… I need a new toaster oven but I don’t want to carry it home from the store and I don’t want to take a taxi. I’ll just order it online and it will have free shipping and come right to my door! Missed the delivery? No worries, I can reschedule; no need to walk to the post office to pick it up. So convenient. 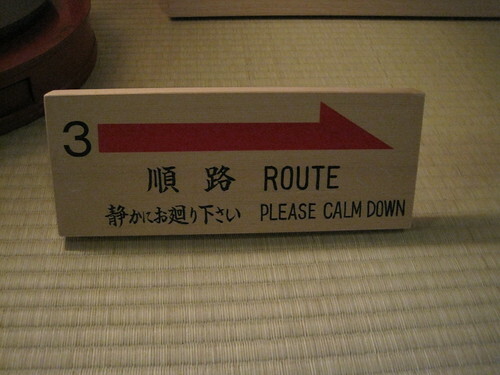 I do not know how anyone lived in a foreign country before Google translate. I have trouble even remembering how I survived in Korea without a smartphone. My life is approximately a trillion times easier because of my iphone and other internet-based wizardry. Sometimes it is so good to get out of Toyama. 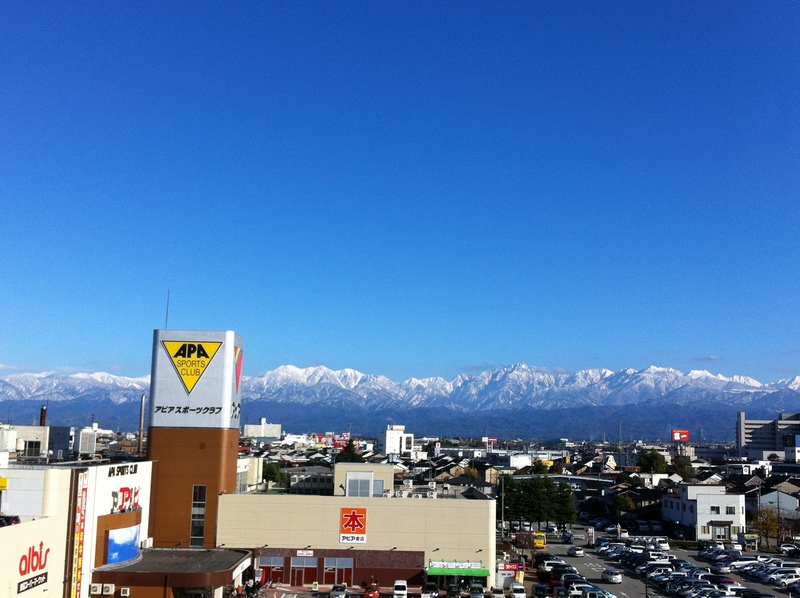 Don’t get me wrong, I like Toyama and I am happy to be living here. However, a few hours in a different city really recharges the batteries. 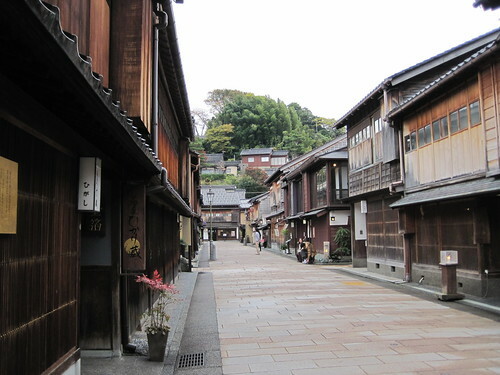 Kanazawa, which is in Ishikawa, is my go-to destination. It is a really fantastic city. Unlike Toyama, Kanazawa was mostly spared during WWII so there are still some beautiful old-fashioned streets and temples. After a long work week , a trip to Kanazawa can remind me of how exotic and interesting Japan can feel. But... It's just SO EXCITING! Days like this one (last Saturday) make up for the culture shocky, I-hate-everything days. Oh dear lord kotatsu sound like blanket tables from heaven! How have these not taken off in Canada ever?? Also I am glad you love your iphone, they are like little handheld miracles at times.